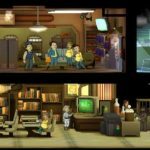 So you’ve probably read a few of our Fallout Shelter strategy guides and learned quite a lot about lunchboxes. But in case you haven’t, we’ll get you up to speed. 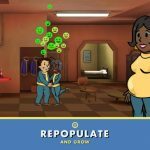 Fallout Shelter is a game for iOS and Android devices from Bethesda, and throughout the course of your city (or should we say, vault) management, you’ll be able to earn two main types of currency, mainly bottle caps and lunchboxes. It’s the latter that fall under the premium category, and while some would rather pay for them, there is a way to get them for free. In fact, you can get unlimited lunchboxes for free thanks to one key glitch in the game. And here’s how you can take advantage of this exploit before it gets nerfed. Normally, you’d want to get out of Tutorial Mode at the soonest possible time – you will definitely need to learn a thing or two in there, but generally speaking, nobody wants to stay in there forever. However, that is what you’ll need to do if you want to make use of the exploit. Once you’re in Tutorial, you’ll get more lunchboxes than usual through quests, but Tutorial Mode will automatically end once you’ve accomplished specific goals. The goals we’re referring to are, first of all, equipping Dwellers with items, and secondly, selling an item. With that in mind, do not equip any of your Dwellers with anything unless you haven’t tapped the collection buttons, and do not sell any of your items. Yes, you read that right – your Dwellers can only be equipped with an item if you don’t click on the collection buttons. 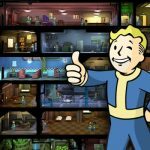 As for the quests available through this cheat, you will be repeatedly providing 50 food and 50 water and leveling up one of your Dwellers. These are looped, or repetitive quests, and they’ll cycle between giving you bottle caps and giving you one lunchbox. Unfortunately, you are only limited to one lunchbox, but the good things here are that you can have these quests on endless loop, and most of the time you will be rewarded with a lunchbox.